Your pace, feels great! This class is excellent for anyone who is interested in fitness with a unique martial arts emphasis. Ideal for anyone seeking conditioning, strength and flexibility. The class is no-impact, with slow, smooth movements and low weights that will not stress joints but rather, improve muscle strength and flexibility. In Cutting Edge Fitness, we use Indian Clubs, Health Wands, Medicine Balls and Dumbells. 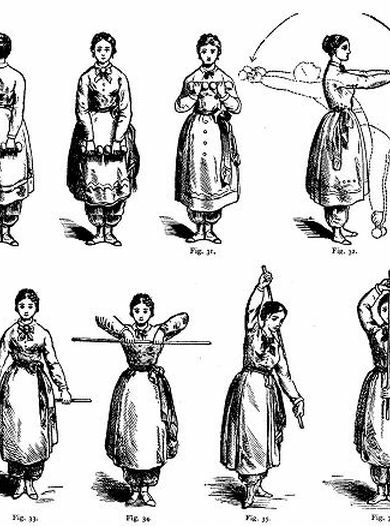 Martial artists have rediscovered the use of Indian Clubs as a martial training tool. Tracing its roots from Greece to Persia to India and then to the West, this humble piece of equipment has many applications for the modern athlete. Seeing a resurgence in popularity, modern athletes are turning to this proven apparatus to up their game. Modern physical therapists are even incorporating Indian Clubs for shoulder, wrist and lower arm rehabilitation. 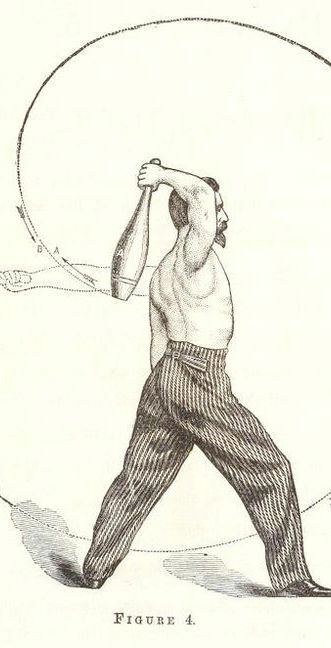 Our classes and seminars focus on the use of Indian Clubs in a martial context focusing on proper form and technique to enhance your ability while strengthening shoulder, arms, core, and legs. This class is good for anyone trying to recover from an injury or improve their health and feel great. Coach Fred Kaye has over 45 years of experience as a martial artist in disciplines as varied as Bartitsu, Shotokan Karate and T'ai Chi Chuan. For the last 10 years, Coach Fred has poured over the classic treatises and met with like-minded individuals to adapt these classic tools and exercises while focusing on modern safety principles. Contact Jim for more details.